What is love? Usually it all starts with a tingly butterfly feeling in your guts. In order to be able to fly around and tingle Cupid’s victims, all butterflies need to eat. Cupcakes, of course. Our Love is a Raspberry Box is an absolute favourite in that category. In the box you’ll find six Raspberry and Chocolate cupcakes. 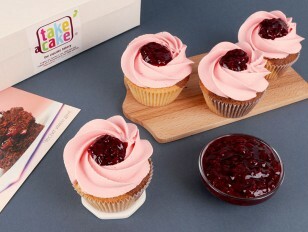 This cupcake has a lovely scented base with dark chocolate chips and a very fruity raspberry jam. 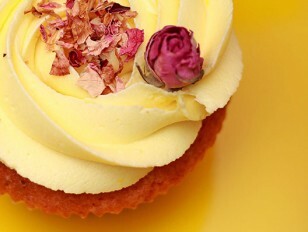 Half of the cupcakes are paired with the classic cheese cream frosting, that’s also light and fluffy, and the other half is topped with the intense and beloved cocoa frosting. They’re all finished off with marble chocolate curls. 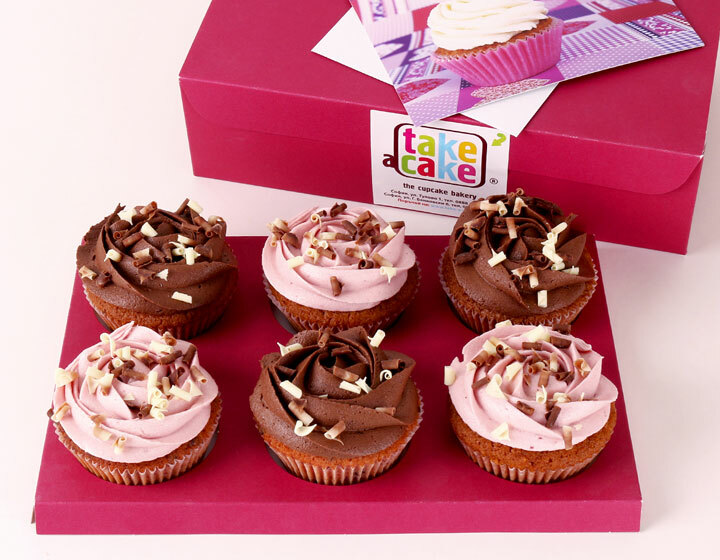 Those six cupcakes are very well suited by our luxury bordeaux coloured box. Truly. 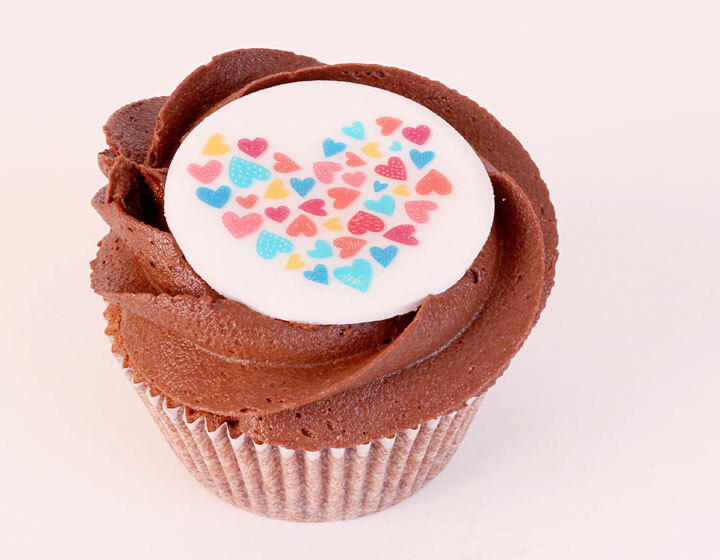 Our Love cupcake is the well-known Cocoa cupcake with a drawing that says it all. 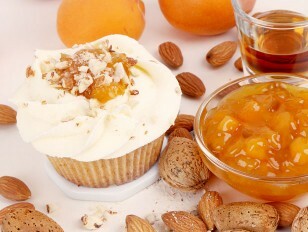 You can get it in one of our bakeries on 1 Tulovo Str. or 6 Georgi Benkovski Str. 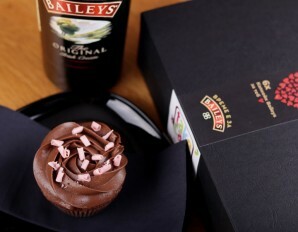 in an individual box or you can add it to your box with five other flavours to gift it to your loved one. 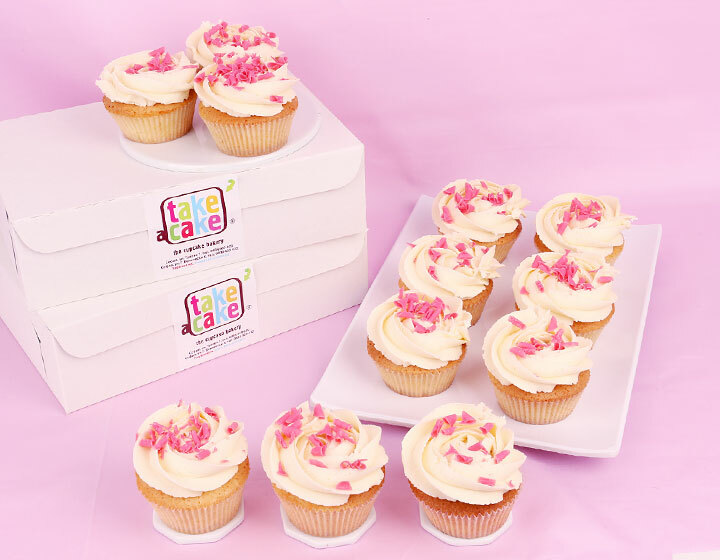 You can also send a surprise delivery by placing an order via our website, where you can also pay online. 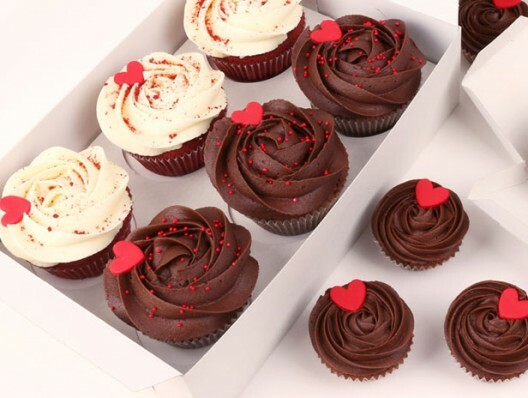 Whenever your love feels too big and you’re celebrating a romantic moment with a lot of friends, such as an anniversary, you can take a look at our PROMO section and you can choose the most delicious dozen of cupcakes, or even a whole cupcake set. If you happen to have a personalized idea, we are, of course, at your disposal to talk it through and make it happen.